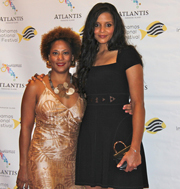 Nassau, Bahamas - The Bahamas International Film Festival (BIFF) is dedicated to providing the local community and international visitors with a diverse presentation of films from around the world. The 11th edition of the Film Festival will be held on December 4 - 14, 20 14 once again we expect to generate excellent local and international media coverage throughout the world and will be attracting leading film professionals and distributors. NASSAU, The Bahamas -- U.S. actor, producer and humanitarian Danny Glover poses after receiving the Bahamas International Film Festival's (BIFF) prestigious Career Achievement Award, on December 6, 2013, at the Atlantis Theater, Atlantis. “Danny Glover is an extraordinary man whose accomplishments in Hollywood are equaled by his humanitarian achievements,” said Vanderpool. Glover was given a Junkanoo-inspired award made by trophy maker and Junkanoo visual artist Mr. Philip Gibson, Jr., of All Things Junkanoo. Bahamas International Film Festival (BIFF) debuted The Black Moses as its closing film at the 10th edition of the festival, featuring Bahamian director Travolta Cooper and the narration of American actor Dennis Haysbert. 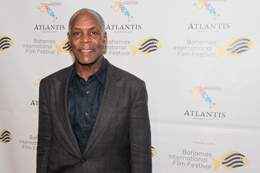 Paradise Island, Bahamas – American film and television actor, Danny Glover was honoured with the Bahamas International Film Festival (BIFF) Career Achievement Award last night, December 6th at the Atlantis Theater. Nassau, Bahamas - Minister of Youth, Sports and Culture Dr. Danny Johnson shares a humourous tale as Bahamas International Film Festival Founder and Executive Director Ms. Leslie Vanderpool (left) and actress Pamela Poitier (Sir Sidney Poitier's daughter), laugh during the festival's opening, Dec. 5, 2013, at the Atlantis Theatre. 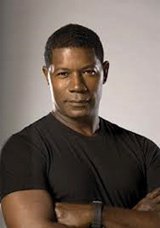 The 10th Bahamas International Film Festival will close tonight at the Atlantis Theater and American film actor, Dennis Haysbert will be in attendance, along with the Bahamas Prime Minister and other local dignitaries. 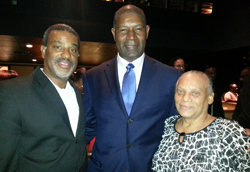 Golden Globe nominated Haysbert stars in the Closing Night Film, "The Black Moses" , a film about the life and times of Sir Lynden Oscar Pindling, the first black Prime Minister of The Bahamas. Nassau, Bahamas – The Bahamas International Film Festival (BIFF), celebrating its 10th anniversary and taking place December 5th – 13th, continues to focus on educating and inspiring the next generation of filmmakers through its signature Youth Film Workshop. This year, the program partnered with five local Bahamian private and public schools throughout Nassau and Eleuthera and integrated the workshops directly into classrooms. The Festival will screen the winning films and clips from the program December 5th – 8th in Nassau and December 9th – 13th in Eleuthera. The announcement was made by BIFF Founder and Executive Director, Leslie Vanderpool. Nassau, Bahamas – The Bahamas International Film Festival (BIFF), celebrating its 10th anniversary, today announced the members of the jury that will preside over the competition categories at the Festival, which takes place December 5th – 13th. The jury was revealed today by BIFF Founder and Executive Director Leslie Vanderpool. Nassau, Bahamas – The Bahamas International Film Festival (BIFF), celebrating its 10th anniversary and taking place December 5-13, today revealed the complete lineup of films screening in the festival’s competition and sidebar sections. 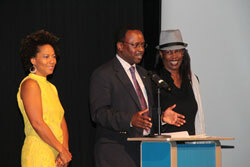 The program was announced by BIFF Founder and Executive Director Leslie Vanderpool. 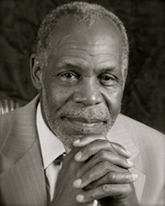 Nassau, Bahamas – The Bahamas International Film Festival (BIFF) announced today that Danny Glover (Lethal Weapon, Dreamgirls, The Color Purple) will be honored with the prestigious Career Achievement Award at this year’s Film Festival (the 10th anniversary edition), taking place December 5-13. Glover will be on hand for the special tribute and presentation at the Atlantis Theater on the evening of Friday, December 6th. The announcement was made by BIFF Founder and Executive Director Leslie Vanderpool. Nassau, Bahamas – November 11, 2013 – The Bahamas International Film Festival (BIFF) announced today that it has once again retained Rogers & Cowan, the world’s leading entertainment public relations and marketing agency, to handle all publicity for the 10th anniversary edition of the festival, taking place December 5-13, 2013. The announcement was made today by BIFF Founder and Executive Director Leslie Vanderpool. Rogers & Cowan’s global media reach and specialized expertise in film festival campaign management will once again be utilized by the Bahamas International Film Festival to broaden the Festival’s visibility and profile, locally and internationally. 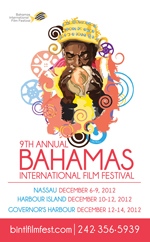 Nassau, Bahamas - The 10th Annual Bahamas International Film Festival (BIFF) December 5 – 13 once again celebrates “Cinema in Paradise”. 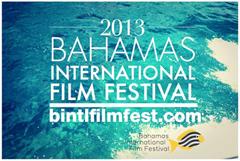 BIFF is proud to announce for the second year the Embassy Of the People’s Republic of China In the Commonwealth of The Bahamas will be providing Chinese films to be showcased before and during the 2013 Film Festival. 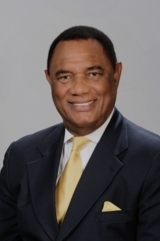 BIFF’s Fo under & Executive Director, Leslie Vanderpool says, “The relationship between BIFF and the Embassy Of the People’s Republic..."
Nassau, Bahamas - Last December the Bahamas International Film Festival (BIFF) held its 9th annual film festival. In the months leading up to the festival, BIFF partnered with Esso Bahamas Limited and BTC and went to the Government Schools for the 8th year to provide the Youth of our nation with the opportunity to learn how to make a film in a day. The film “25 Years of Junior Junkanoo” Documentary was an exciting project that educated 80 students from C.C. Sweeting, C.R. Walker, Woodcock Primary and A.F. Adderley on the art of film making, giving the students an opportunity to tell the world the story of Junior Junkanoo. 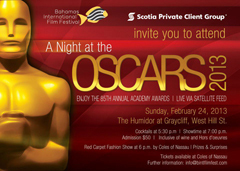 Tickets Available at Coles Of Nassau Locations: Bay Street and Old Fort Bay..
Nassau, Bahamas - Submissions to the Bahamas International Film Festival (BIFF) are now being accepted. 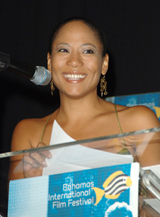 This year's festival takes place from December 5th - 13th in Nassau. Celebrate with us our 10th year anniversary as we once again take over multiple screens and party venues across the Islands. Please see the BIFF Film Submissions page for details. Online entries submitted via Withoutabox.com. Spirit of Freedom Narrative - Honorable Mention: Apartment In Athens, Director: Ruggero Dipaola Winner: Between Us, Director: Dan Mirvish. Spirit of Freedom Documentary - Honorable Mention: Dolphin Boy, Director: Dani Menkin Winner: Mulberry Child, Director: Susan Morgan Cooper. New Visions - Winner: Maybe Tomorrow, Director: Michael Wolfe. Immediately following it's ninth annual festival held this past weekend in Nassau, the Bahamas International Film Festival (BIFF) will travel to Eleuthera for a continuation of this year's celebration to be known as The Best of the Fest Eleuthera. I am honoured to be here to bring remarks at the opening ceremony of the 9th annual Bahamas International Film Festival, and knowing that you are all eager to view the opening night film, Quartet, I will be brief. Since its beginning in 2004, under the leadership of Ms. Leslie Vanderpool, BIFF has grown to truly be an international film festival that is distinctly Bahamian in flavor and is something that The Bahamas can be proud to boast on its annual calendar.